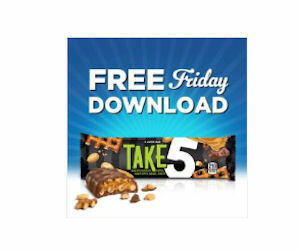 Today Friday, February 19th, Kroger and affiliate store shoppers can load an ecoupon for 1 FREE Take 5 Bar (1.5 oz.) to their shoppers card. Redeemable through March 6.